The Iditarod Trail in Alaska is 1049 miles long. It was originally used for just hauling food and equipment by trappers and locals from one place to another in the interior of Alaska. It was also mainly the trail that was used in 1925 when heroic mushers brought diphtheria medicin to people caught in the epidemic in Nome. 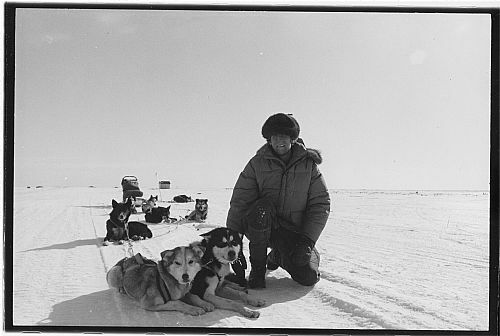 Today though the Iditarod Trail is home of the longest dogsledding race in the world , The Iditarod Trail Race. passing McGrath and the deserted village of Iditarod until reaching the Yukon River. From there it was some 150 miles until reaching Unalakleet at the Norton Bay. The TV-film produced by Erik Fernström was a success at Christmas in 1981 when it was broadcasted on Swedish Public Service TV.